The purpose with this application is to take the Word of God to every person in their own language for free! We would also like it to be fast, stable, and easy to use. Llewellyn van der Merwe is the application owner and leading developer on this project. Get Bible is a member of we fear God and also supports the Why? 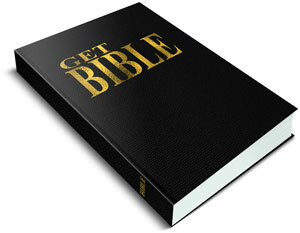 Bible initiative. We therefore strongly affirm that we choose to believe the Bible because it is a reliable collection of historical documents written by eyewitnesses during the lifetime of other eyewitnesses. They report supernatural events that took place in fulfillment of specific prophesies and claim that their writings are divine rather than human in origin. We believe the Bible is the verbally inspired Word of God and is the sole, infallible rule of faith and practice. This is a Mountain of Success project. Mountain of Success is an online Christian mission initiative where this victory of our Lord is proclaimed. So it is all about God's Success!